Lucy Spector took over in the 1970’s after her husband passed away. With her eye for fashion, she took the store into a new direction, searching for unique items to cater to fashion designers. 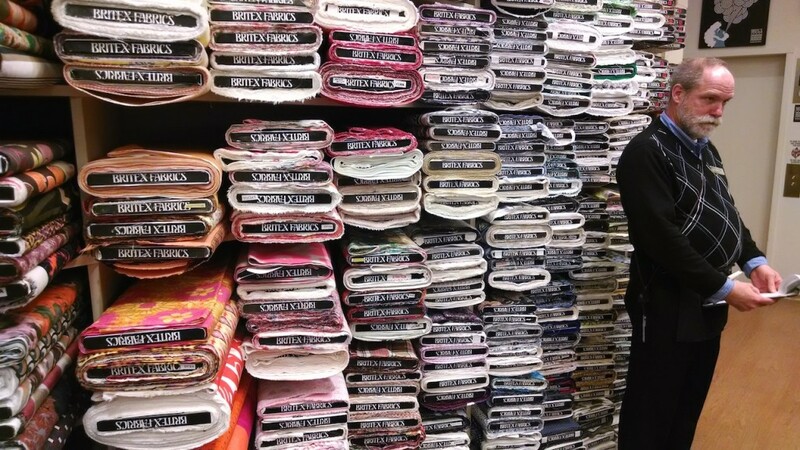 Today, Britex fabrics is run by daughter Charman Spector. She was kind enough to stop by and greet the tour group, and ask us all our interests and what brought us to Britex. 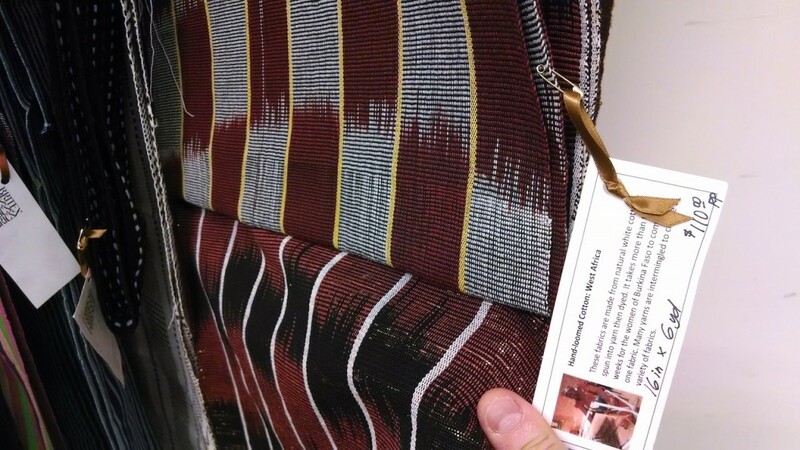 Our tour was led by Greg, a self-described “textile geek” who works Britex’s second floor. Britex fills four floors and runs the length of half a city block. The front entrance is on Geary Street, and the back entrance, where our tour began, is on Maiden Lane, a small alley in San Francisco. Maiden Lane was once the ‘red-light’ district of San Francisco. The name isn’t related to the fact it was the red-light district, but actually came from a jeweler who set up shop on the alley and chose the name to evoke the image of the Maiden Lanes of London and New York. 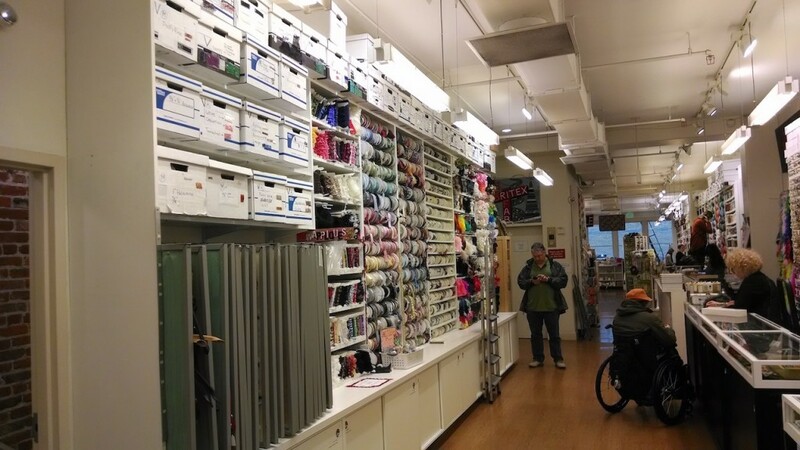 Britex has an organizational system resembling that of many European fabric stores. International visitors find themselves at home and the Britex staff says the organization makes their store easy to shop. 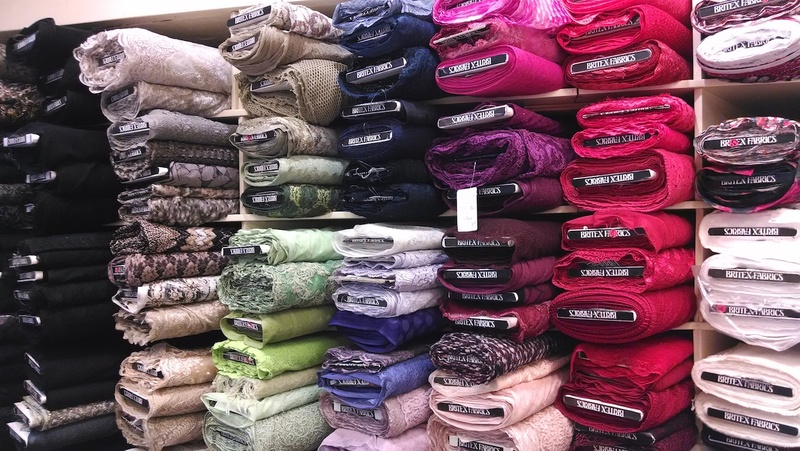 The first floor has the “wall of wool”, including coatings, beautiful tweeds appropriate for Chanel-style jackets and fine 100s wool for suits. 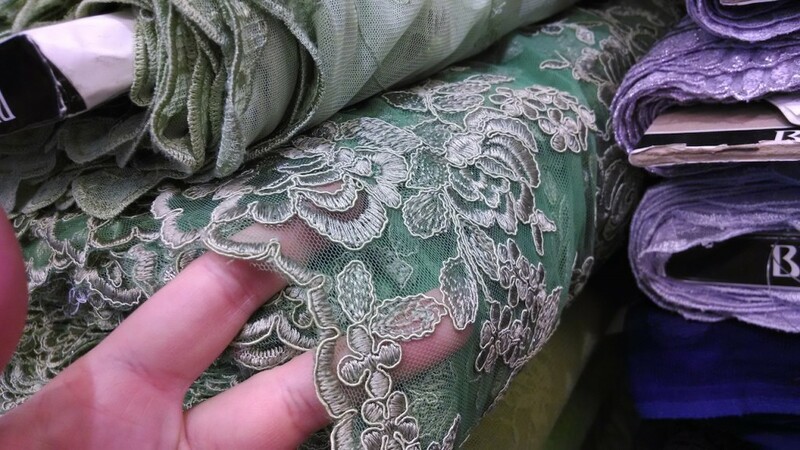 It also has a selection of silks, rayon linings, charmeuse, taffetas, and handcrafted lace for couture sewing. 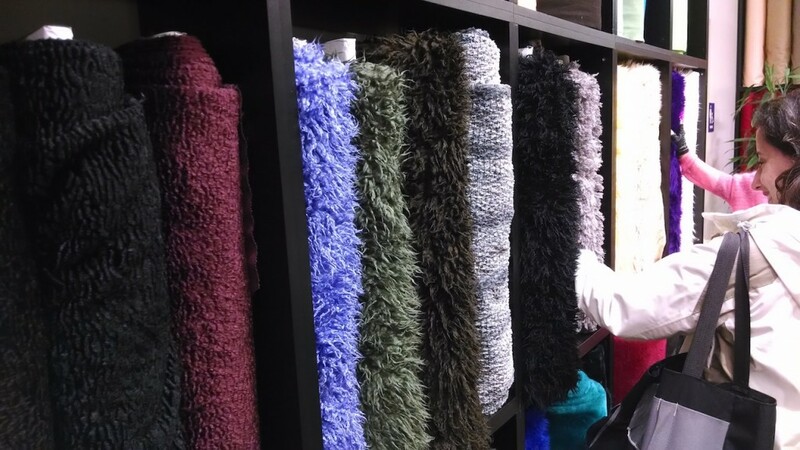 The “Wall of Wool” closeup. The stairway to second floor contains a selection of vintage advertisements from the 1970s. Britex at the time had a gifted duo of graphic designer and copywriter who produced a series of tongue-in-cheek advertisements. The ads also have pricing information that helps document the history of textile retailing at Britex. 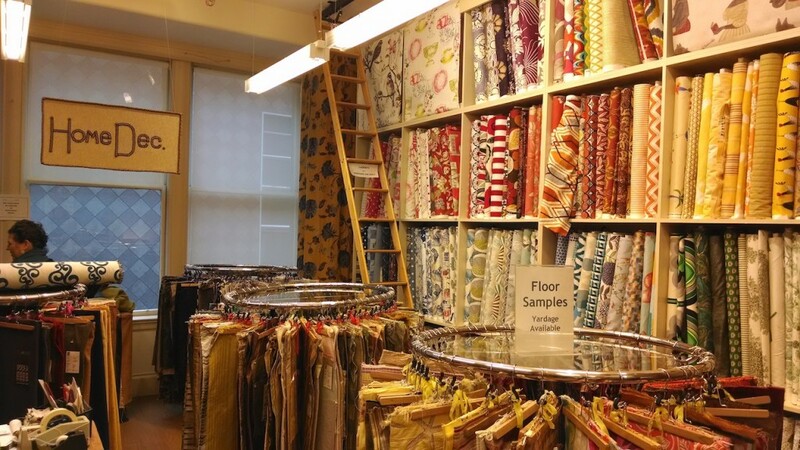 The Second Floor opens with a selection of Home Decor fabrics. 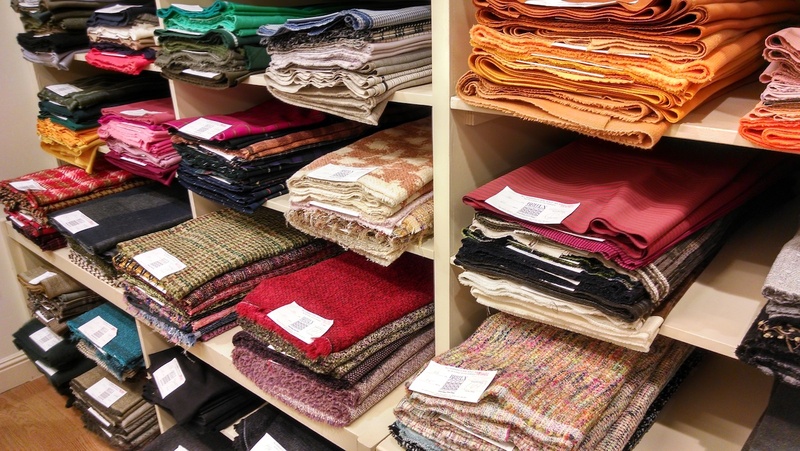 The selection is determined by the whims and tastes of the store employees, so beyond the more pedestrian designs, it also carries fabrics from name designers and offbeat selections. 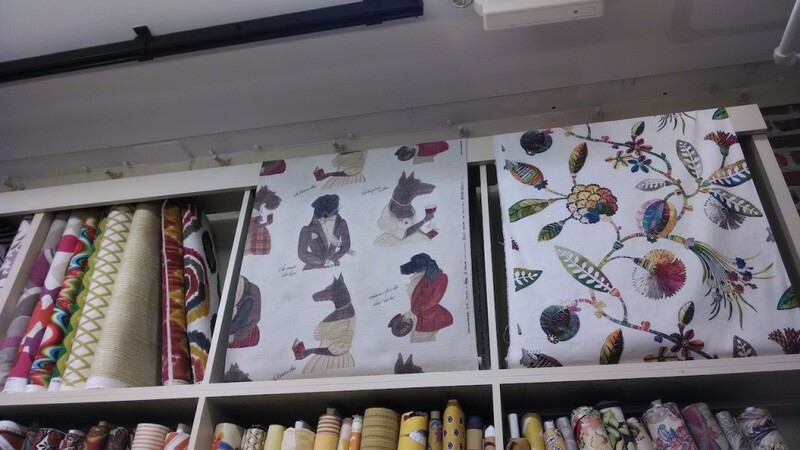 The second floor also has a selection of printed cottons, including some Liberty of London and Marimekko prints, and craft cottons for quilters. Greg, our tour guide, with the selection of prints. Shirtings may be found here, as well as a selection of knits, velvets, and machine-made laces. Sequined and other decorative fabrics. You’ll also find some performance fabrics for outdoor and athletic wear. 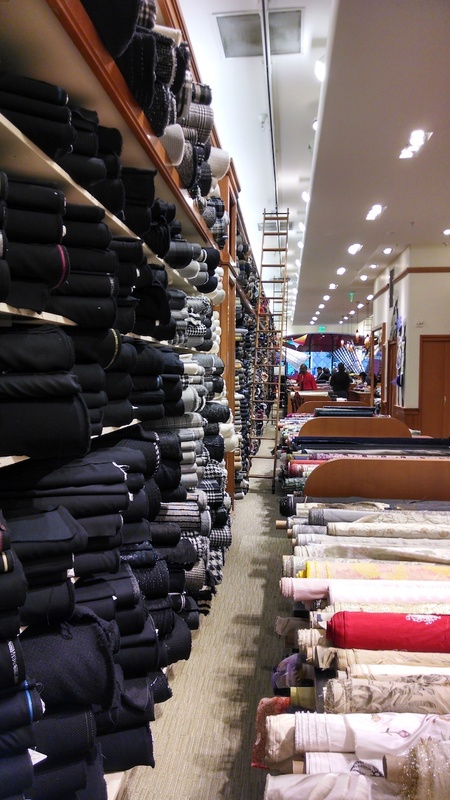 This floor has a selection of world fabrics (my Japanese selvedge denim came from here). Finally, near the stairs to the Third Floor you’ll find hand-loomed fabric from Africa and elsewhere. 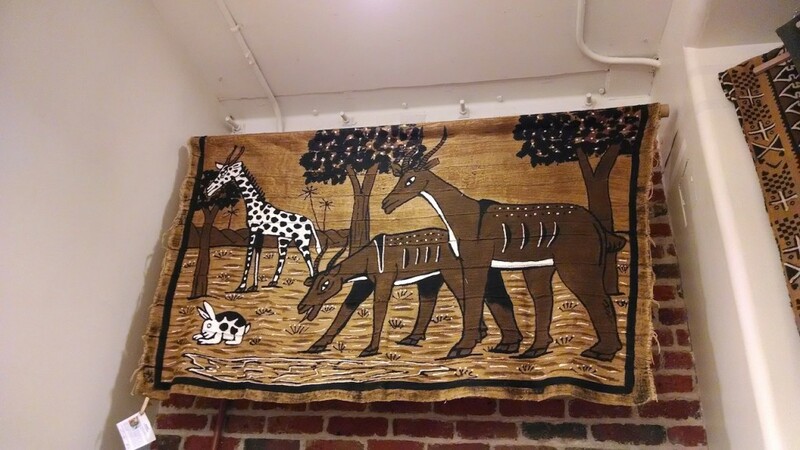 Created using resist-dye techniques, this “fabric” is really better framed as a wall hanging. The Third Floor is all about notions and trims. 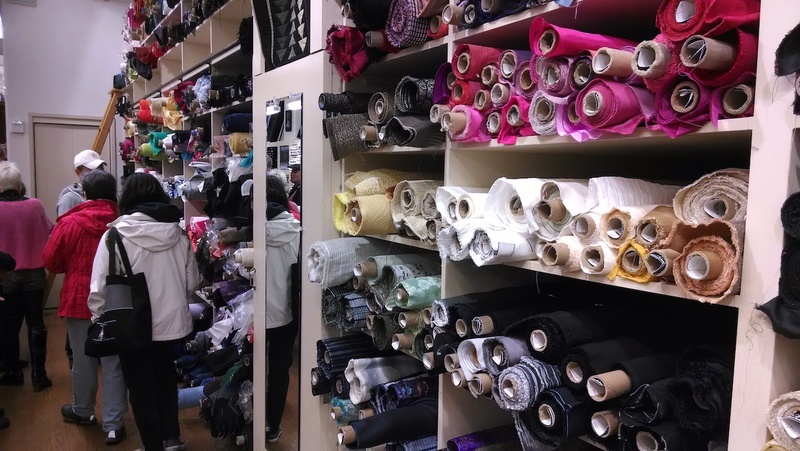 Greg, our tour guide told us that in New York’s Garment District you would go to individual stores that specialize in each of the products carried here; at Britex they’re all in one place. The third floor offers a wall of buttons, curated by Maya Gorokhovskaya the “Button Lady” who has worked at Britex for nearly 25 years. 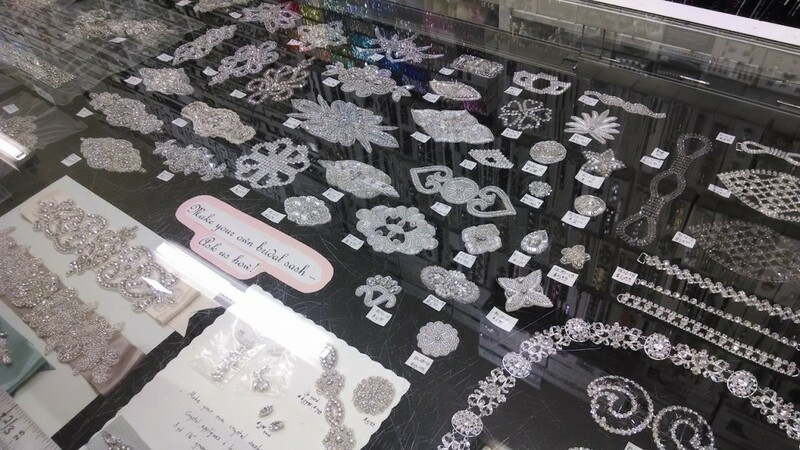 You can find all kinds of glitter and bling for assembling bridal outfits, as well as hat-making. 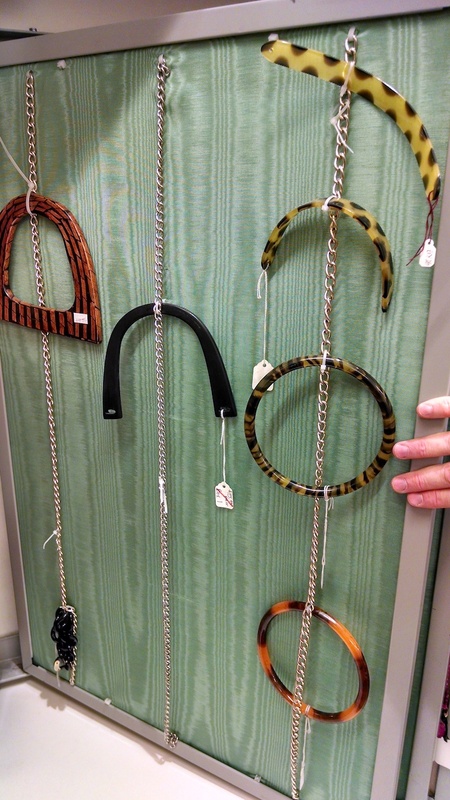 Also available are notions for making your own belts, purses and handbags. 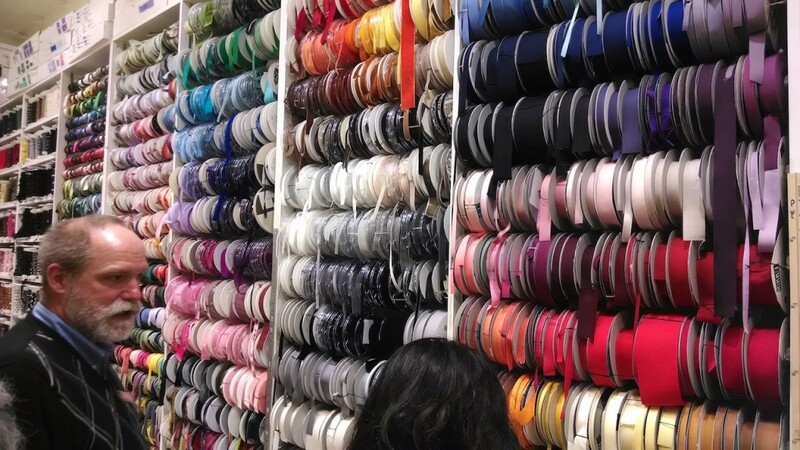 The ribbons section contains a huge selection of decorative and grosgrain ribbons, as well as ribbons made by local designers. 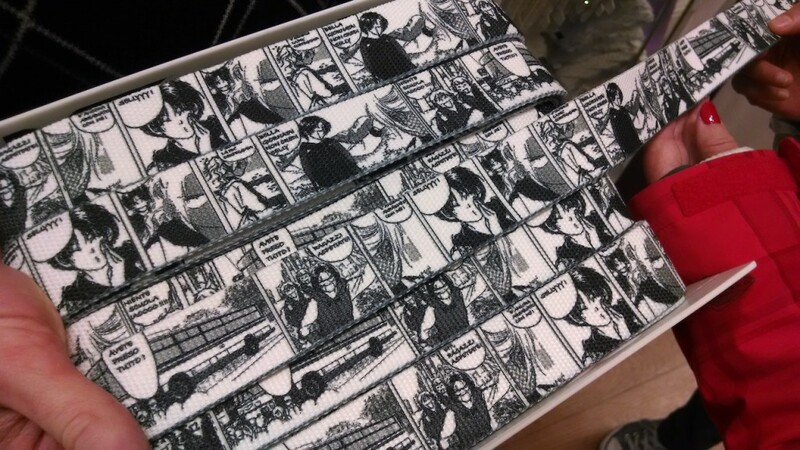 Next to the ribbons are tons of decorative trims. 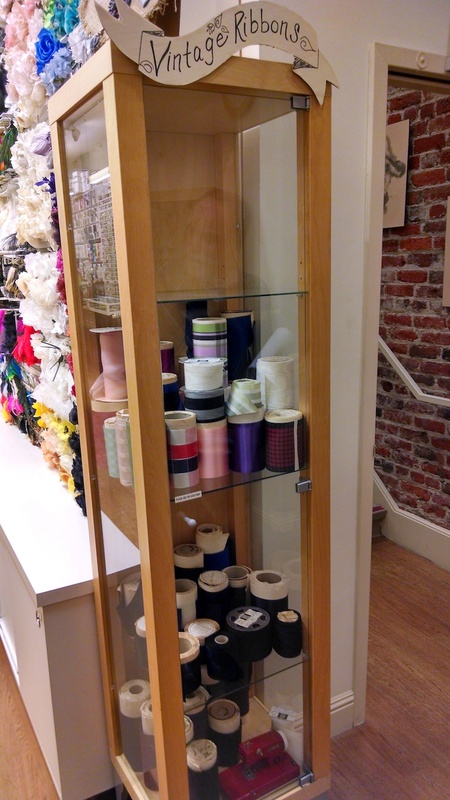 Near the stairway to the fourth floor is a small cabinet of vintage ribbons. There’s also a section carrying general sewing notions. To my delight, they carry rounds of knit ribbing for collars, cuffs, and waistbands in knit garments. It is difficult to find these elsewhere. 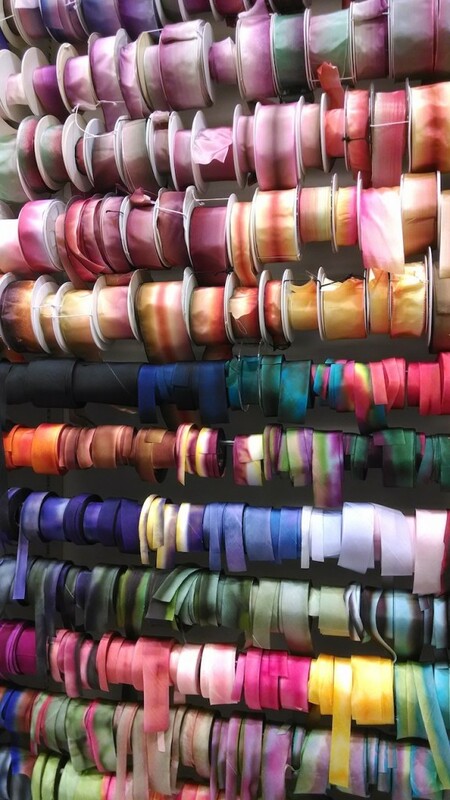 The thread section carries not only standard Gutermann thread, but also Japanese silk thread in vibrant colors. 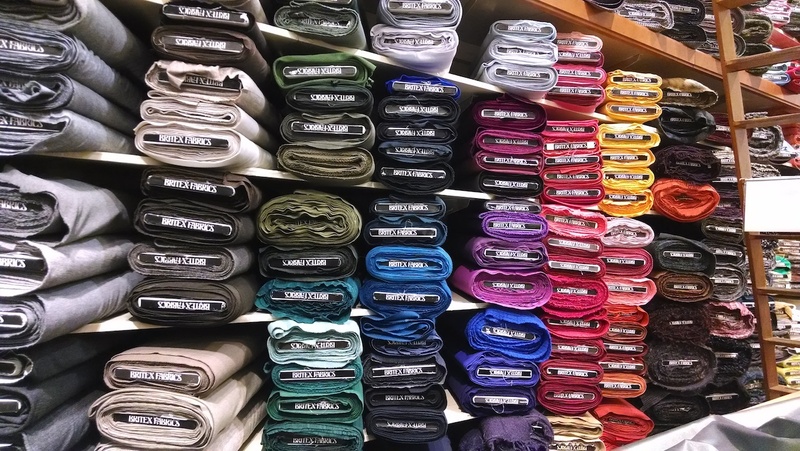 Zippers are organized by color and length. The back of the floor carries a selection of sewing books and patterns, including locally made patterns for vintage clothing styles. The Fourth Floor, my favorite place in the store, is where the remnants are sold. 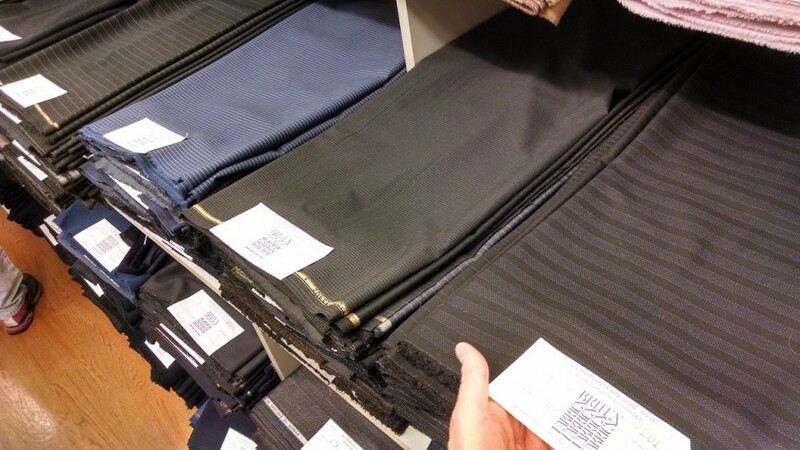 Like the other floors, the remnants are organized by fabric type: cottons, wools, linens, synthetics, etc. and have labels to help you find them quickly. 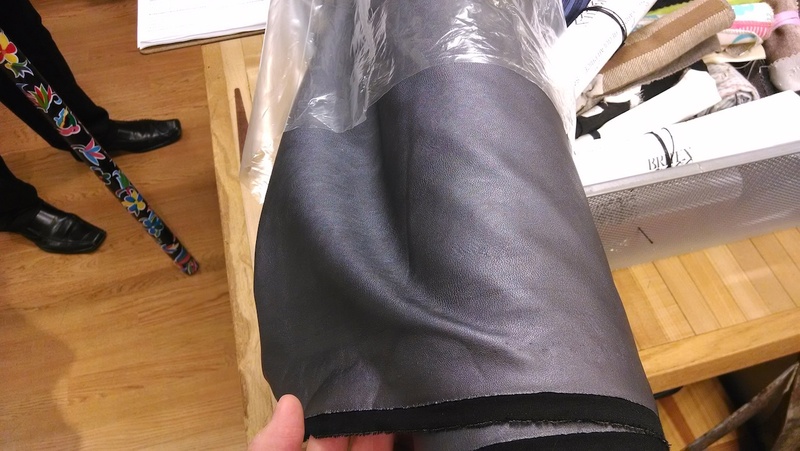 Britex tries to stock the remnants section with cuts big enough to be useful for a variety of projects. My cut of melton wool purchased from this floor should be just big enough to make a peacoat. 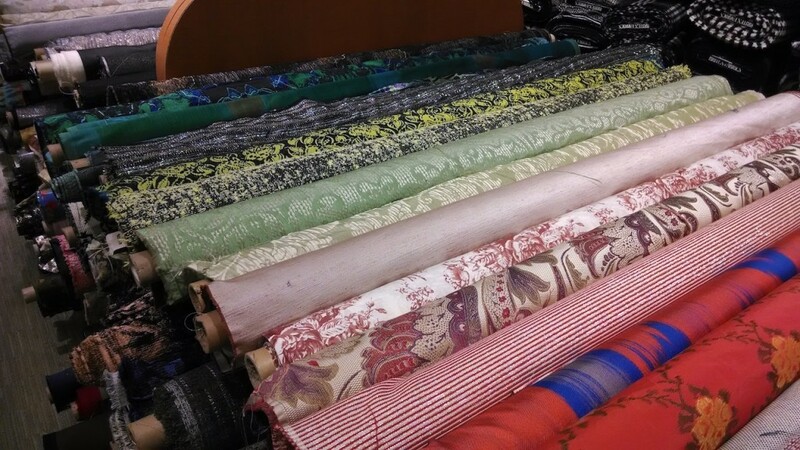 Additionally, this floor often features samples not found on the other floors, as the buyers sometimes come across special deals from fabric makers, fashion houses or garment producers that have small amounts of special fabrics that Britex can offer directly to customers as remnants. I’ve purchased some extremely high-quality Italian shirting fabric from this floor which will someday find their way into shirt projects. But the fourth floor has more than remnants. 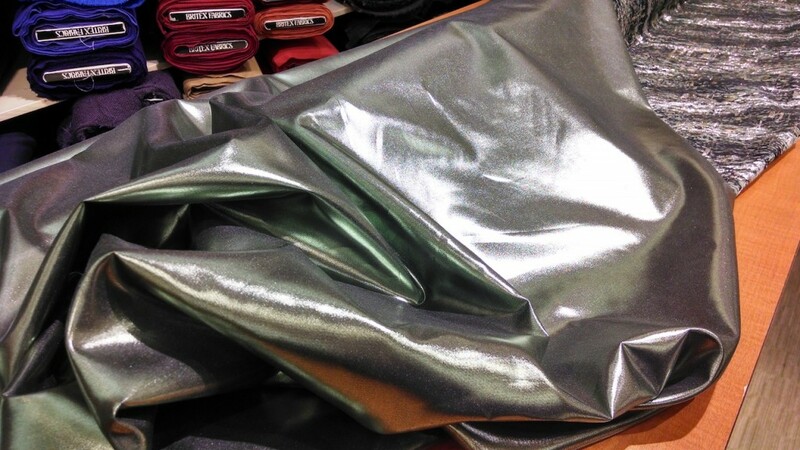 Britex has a selection of leathers as well as “vegan leather” (a contemporary term for high-quality vinyl) , oilcloth, neoprene, performance fabrics, high-quality wool felts, and fake furs. 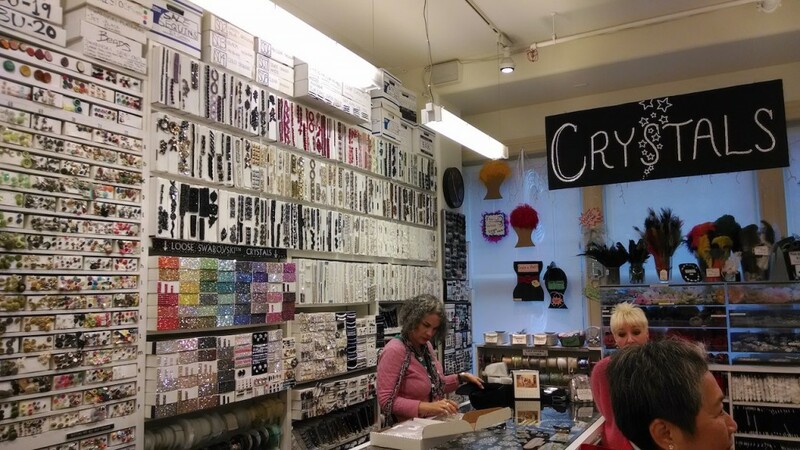 At the front of the floor, they offer a selection of interfacings, including hair canvas for tailoring projects. 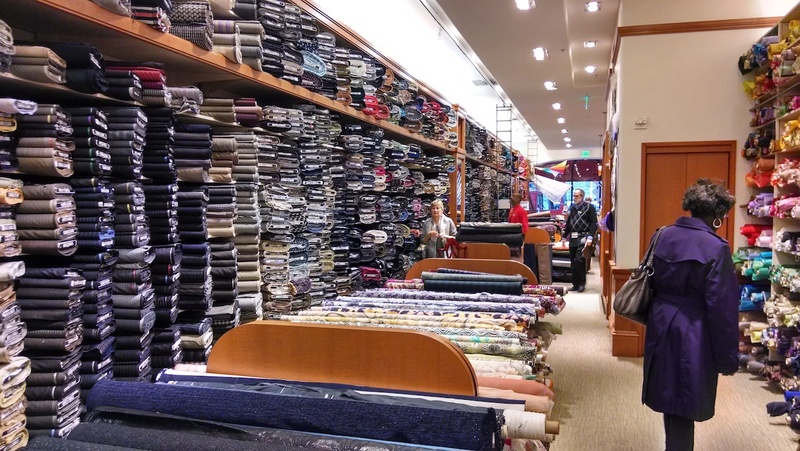 At the conclusion of our tour, we were graciously offered a 10% discount on that day’s purchases; I took advantage of the discount to buy some of the brightly-colored 3mm German-made wool felt to make slipcases for my laptop computer and tablet. 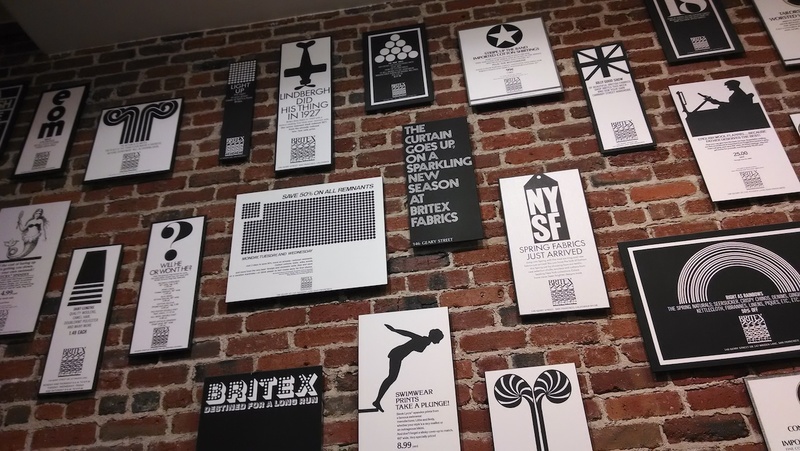 If you’re outside the San Francisco Bay Area, Britex is definitely worth seeing when you are in the area. In fact, it might be worthwhile to get on their mailing list, or follow their Twitter feed, so you know when their sales are happening. 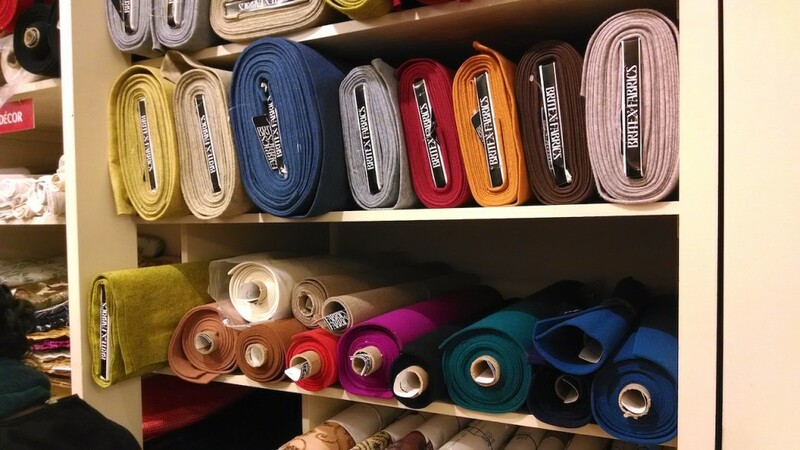 For locals, Britex offers a longer, after-hours version of the tour that also includes a presentation of basic textile categories and their properties. This version of the tour isn’t free, but sounds interesting nonetheless. You can sign up for either the free or the deluxe store tours at Britex’s Events Page. 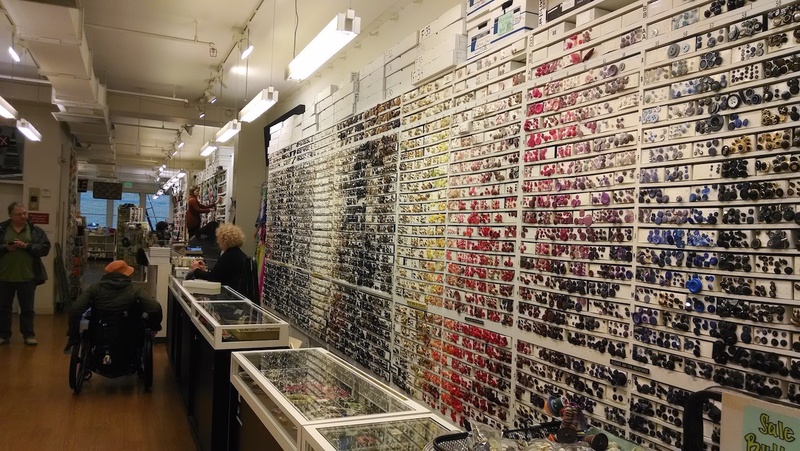 Yeah, Britex is a little bit like Disneyland for sewists. Come to San Francisco sometime and we can go shopping there together! I visited Britex in October. There is just too much fine stuff! Of course the shirting and wool is still safe in my stash, but I want to be better sew ist before I cut into such fine fabric. Thanks for the quick tour and the memory, and the encouragement to make something from my purchases! 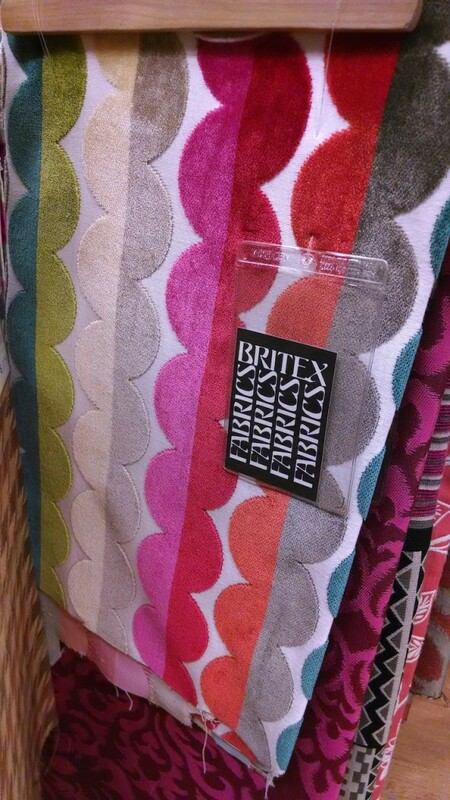 I also have some spectacular shirting fabric from Britex in my stash that’s waiting to be sewn. I think I have enough confidence to cut into it now; the only blockers now are all the other projects I have planned! This is Great… I love it! 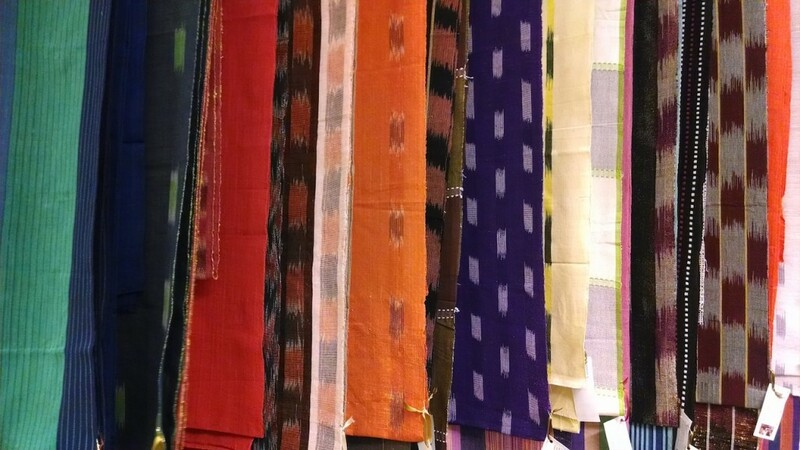 I can almost touch the fabrics, feel the richness. The whole culture, business dedicated professionals for the sewista in everyone. Got to go there sometime this year. Ok in the summer when is warm? After two trips to town i got a few knits. Shopping for fabrics in a Island is so depressing. Thansk for the uplifting pictures and useful information. On another unrelated note: I have new neigbhors: two guys, partners, one is name Michael. Oh my, this is jaw-dropping! I live far, far away in Australia, but occasionally treat myself to buttons via the website. Cable cars and a beautiful fabric store – SF has everything I need!